* Setup how many videos you want to show per page - You can setup 24-30 videos which is an average rate. 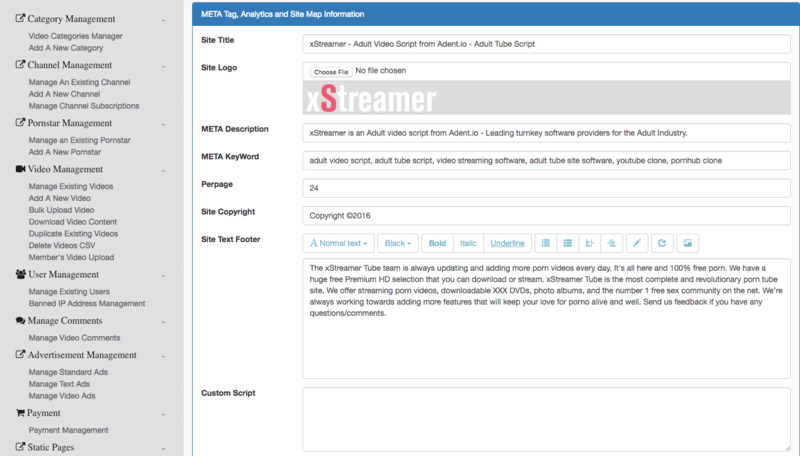 * Setup copyright info, Site footer text. * Custom script - here you can enter your Google analytics code. If you’re wondering what Google analytics is - it shows how many visitors visited your website, for what keywords they visited your site, what are the pages they visited, how much time they stayed on your website etc. You can signup directly on Google analytics, add your site, get the code and paste it here. * upload site map - leave it empty. Don’t do anything.